The shorting opportunities which offered themselves yesterday didn't last the morning; morning gaps held beyond the first half-hour of trading and bar a small sell-off into the close markets finished higher and above key moving averages and trading channels. The Dow created a breakout which now offers a potential long play. Stops go on a loss of 24,600. Technicals finished with a new long 'buy' trigger in Stochastics. The S&P finished above the 3-week consolidation but remains contained inside the 3-month downward channel. Sideline longs will need break of this channel to generate a new 'buy' signal. The Nasdaq broke out above the 'bearish wedge' but still has a number of supply levels to clear. Watch for a 'bull trap' (a close back inside the bearish wedge). It was a similar story for the Russell 2000 as it cleared the bearish wedge. 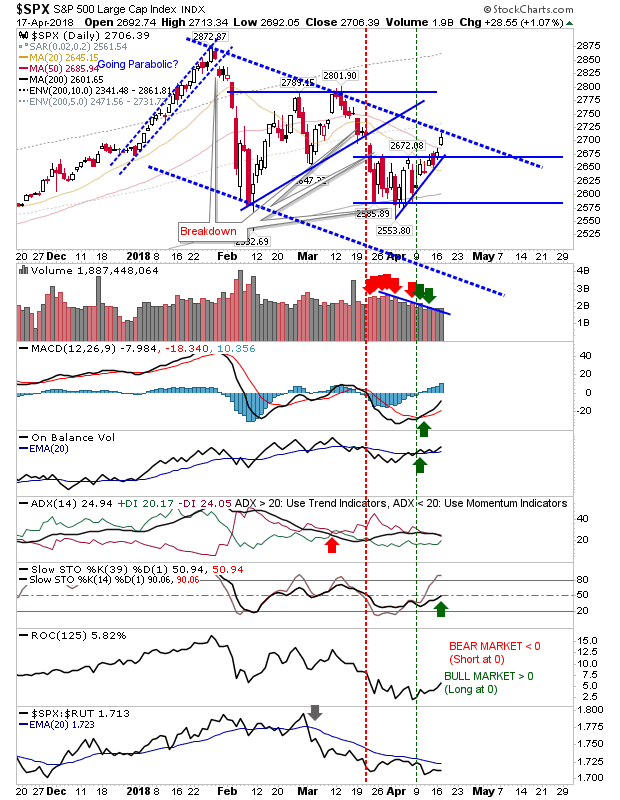 The larger triangle consolidation is of greater significance although the new net bullish turn in technicals following the 'buy' trigger in the +DI/-DI. 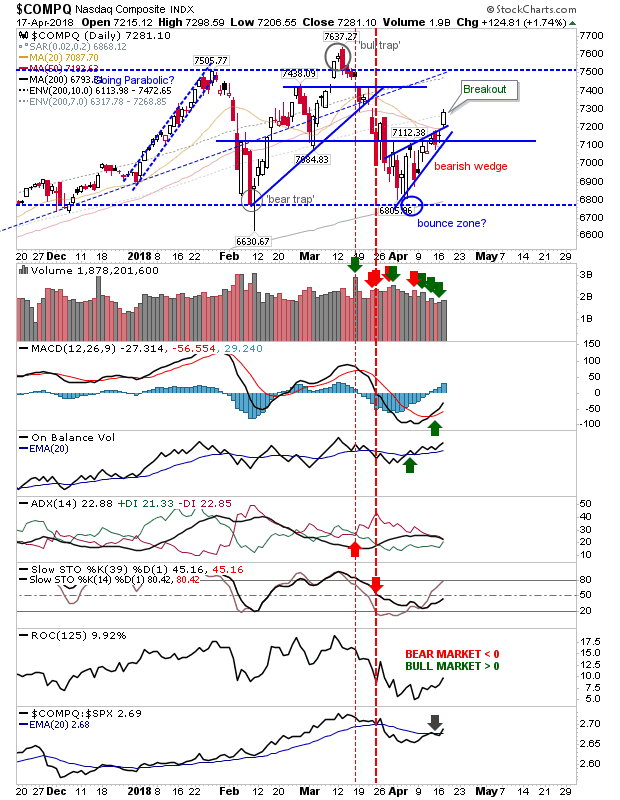 However, not all technicals are doing well as relative performance against the Nasdaq shifts back towards Tech indices. 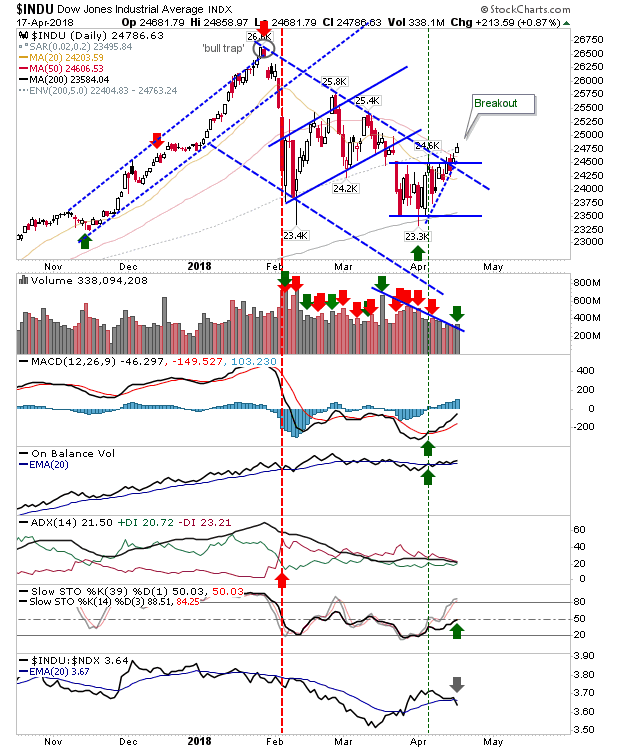 For tomorrow, bulls can look to the breakout in the Dow Jones Index although the tag of a similiar channel in the S&P may ironically prove a better play for shorts. 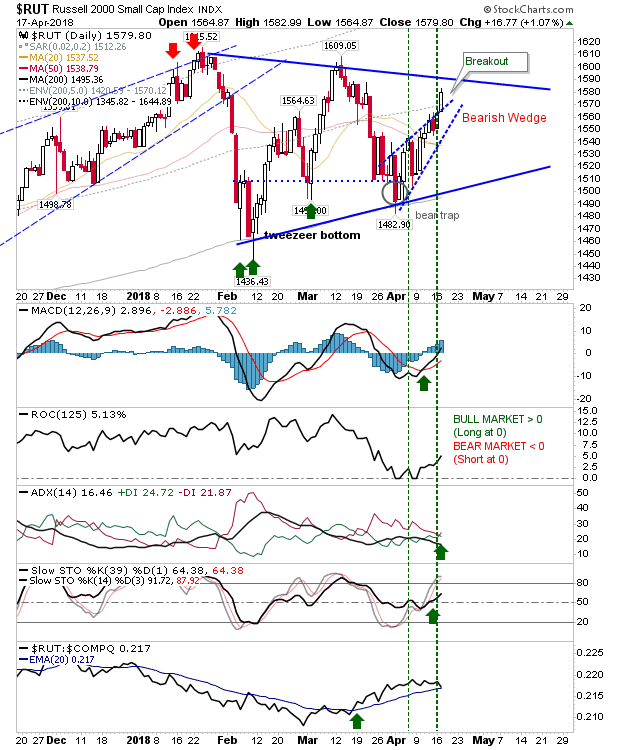 Keep a watchful eye on the Russell 2000 as it approaches triangle resistance.